RUPES BigFoot Nano iBrid 2” Foam Polishing Pad Mix & Match 24 Pack will allow you to pick and choose RUPES BigFoot Nano iBrid 2 Inch Coarse, Medium, Fine or Ultra Fine Foam Cutting & Polishing Pads of your choice to meet your polishing pad needs at bulk rate savings. 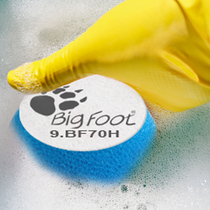 RUPES BigFoot Nano iBrid 2” Foam Polishing Pads have been designed to reduce heat built-up with the expanded resin and open cell structure producing extremely efficient results in minimal time while reducing the amount of polishing compound. RUPES BigFoot Nano iBrid 2" Foam Polishing Pads condensed cone structure was designed to for the RUPES BigFoot Nano iBrid Random Orbital Polishers to optimize the oscillation motion and also prevents the backing plate from coming in contact and causing damage to the surfaces. 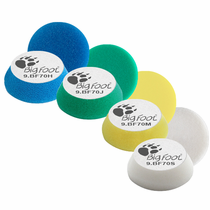 RUPES BigFoot Nano iBrid Foam Polishing Pads should be cleaned during use with RUPES Claw Pad Removal & Cleaning Tool, to dislodge dried compound. 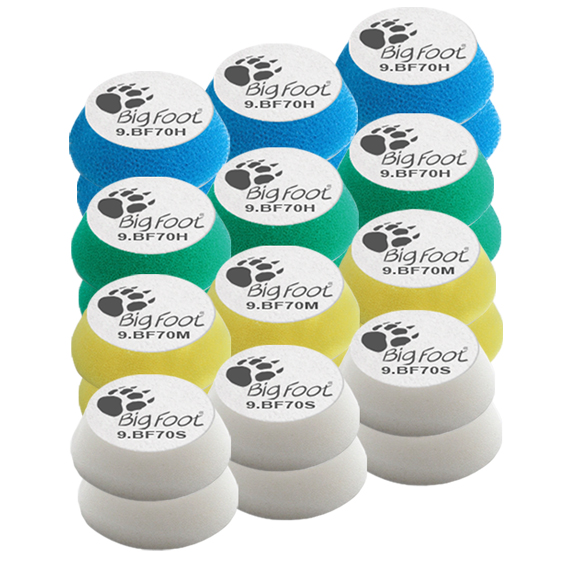 RUPES BigFoot Nano iBrid Foam Polishing Pads should be washed after use with mild soap and water by hand or in a washing machine. Do not use fabric softener. RUPES BigFoot Nano iBrid Foam Polishing Pads should be air dried or dried by machine on a delicate cycle with low or no heat. Dryer sheets should not ever be used.